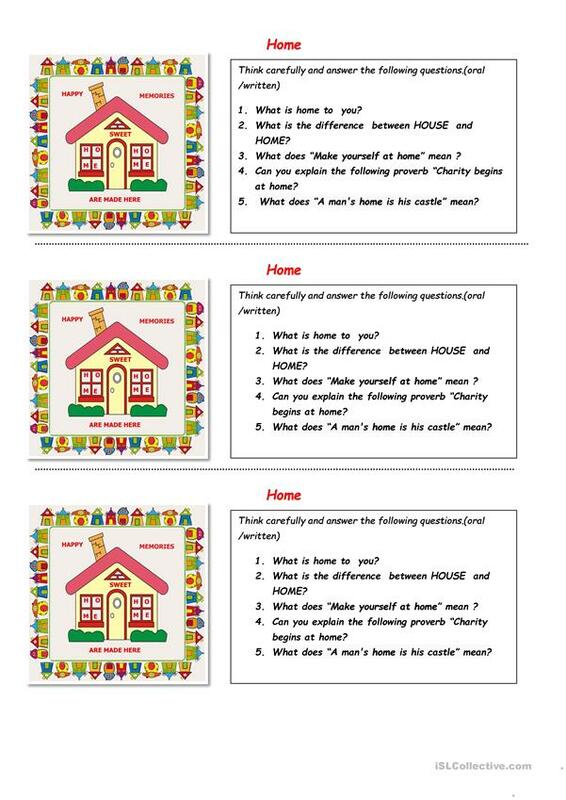 Picture description& sts have to answer some questions.using the words House & Home. 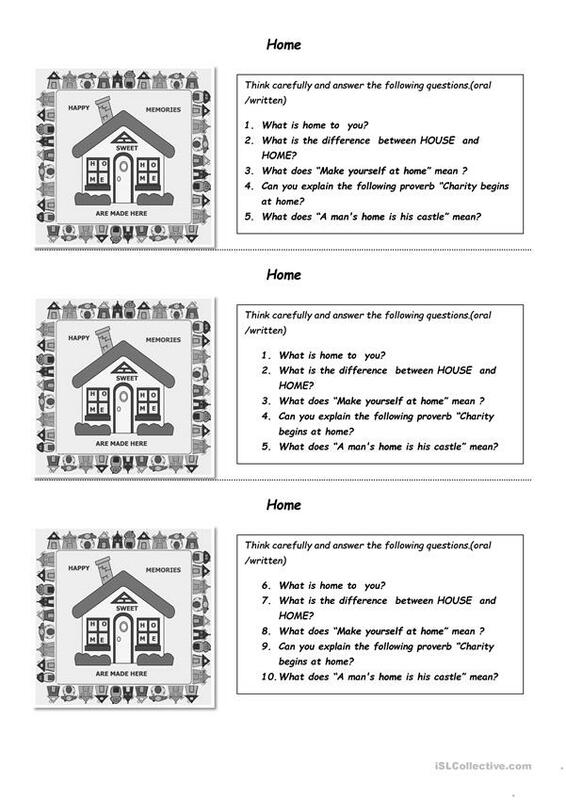 The above downloadable printable is meant for high school students and adults at Intermediate (B1), Upper-intermediate (B2) and Advanced (C1) level. It is useful for working on your pupils' Speaking and Writing skills.